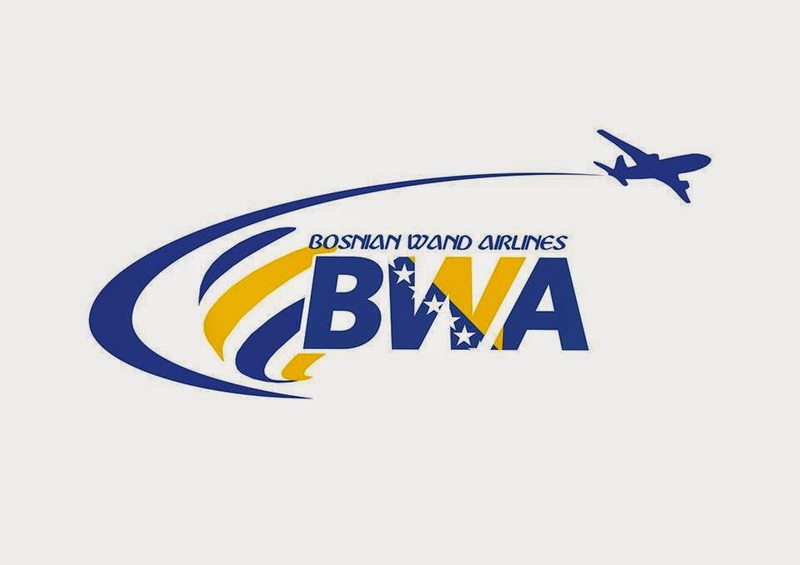 The newly established Bosnian Wand Airlines (BWA), which plans to launch flights early next year, has unveiled its destination network, fleet plans and livery. The airline will operate flights from Sarajevo to Amsterdam, Athens, Frankfurt and Stockholm, most of which are currently unserved from Bosnia and Herzegovina’s capital. The start-up will run services with a leased Airbus A321 from Air Méditerranée. The jet has the capacity to seat 214 passengers, with BWA to offer twelve seats in business class and the remaining 202 in economy. “Our vision is for BWA to become a recognisable national brand on the aviation market. We believe it is possible. An analysis by some 100 experts, who determine which parts of the world are best to invest in, have pointed towards Bosnia and Herzegovina”, the airline says. BWA cabin crew members recently completed their training at the Turkish Airlines Flight Centre in Istanbul. A total of 28 crew members have been recruited, along with a public relations manager, IT expert, certified accountant and secretary. “An important segment of our business will be to attract tourists from Asia to visit the cultural and historic sights of Bosnia and Herzegovina”, BWA says. Last month the Bosnia and Herzegovina Directorate of Civil Aviation (BHDCA) confirmed that BWA had requested an Air Operator’s Certificate (AOC) which is necessary in order to launch commercial operations. The BHDCA says it will take up to ninety days to review BWA’s application. An Iraqi company, the Al Wand group, is behind the newly established carrier. 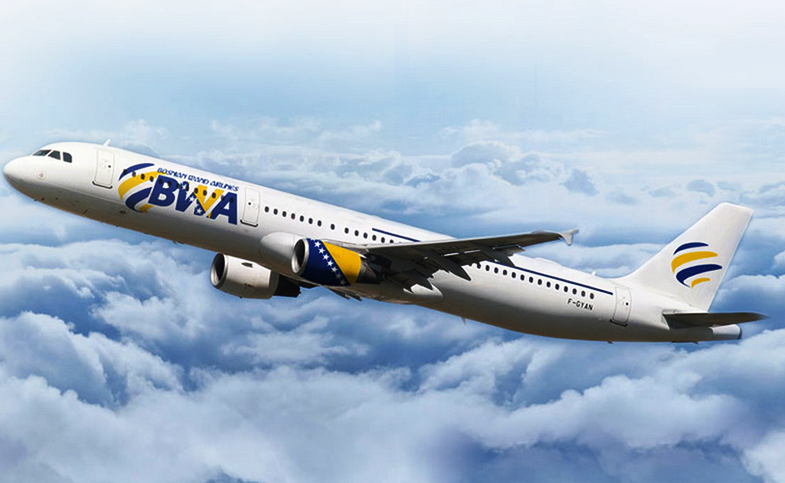 BWA’s successful launch could come as a major blow to B&H Airlines, which maintains flights from Sarajevo to four destinations with two leased turboprop aircraft. B&H Airlines once operated services to Amsterdam, Frankfurt and Stockholm. While flights to Frankfurt were suspended due to poor loads, services to Amsterdam and the Swedish capital, considered diaspora hotspots, were terminated due to unsuitable equipment, as the airline no longer had jet-engine aircraft at its disposal. Start-up airlines in the former Yugoslavia have had a poor run, with almost all suspending services prior to their planned launch or several weeks later. They include Dalmatian from Zagreb, Golden Air from Maribor and Centavia from Belgrade. I will be very, very, VERY impressed if this thing actually works. I really hope this works. BiH needs a strong airline. B&H Airlines is a joke. And another joke comes. Starter airline with A321. It will be hard to fill. But I hope it works. BiH needs it. Exactly, especially on a route such as Athens. I don't know why they didn't test their luck with Istanbul. Jel ikada TK slao za LYBE 739 posto ja nikad nisam video da je neko poslao 739 za LYBE. Da, bio je jednom ili dva puta. A inace mogao bi nekada da se zahvalis kada ti narod da odgovor. Just a bit input from google. Anyway, best of luck and fingers crossed. I think that B&H won't necessarily be hit hard since new, more serious airlines keep comming to Sarajevo and B&H survives.. The got side is that they haven't launched any of the lines B&H flies to.. I ja se bojim da bi ovo moglo biti kao i dalmatian.hr. Nekako mi to smrdi, iako kaže da su već investirali u školovanje posada, što znači da su već potrošili neku lovu. Činjenica je da Bosni treba jedan do dva jeta za letove do LHR, AMS, CDG, BRU, FRA, ARN, CPH, SVO, IST i chartere. No, A321 je definitivno i apsolutno puno prevelik avion za ovo majušno tržište. Ideala avion bi bio 100-seater, tj. CRJ ili Embraer. Sa ovom grdosijom ne mogu letjeti ni CTN i ASL, a kamoli bosanski prijevoznik. Bojim se da će im se to obiti o glavu. Još je veća glupost let za Atenu, čak i sa ATR-om, a kamoli sa A321. Why not paint the right engine too? Horrid name, horrid colours, horrid choice of aircraft for the Bosnian market. It'll never work, barely a news story. 16 business class seats from Sarajevo to Athens? What a joke. There is a reason there are not flights Sarajevo-Athens/Amsterdam..not enough passengers! This airline is doomed from day one. Croatia Airlines could fill an A321 for 5/6months a year, but they'd not fill it during winter. I mean do they know how much it costs to run an A321 between Sarajevo and these destinations, ticket prices will have to be high and the bosnian market is price sensitive and business people don't mind connecting flights because its not a destination people rush to for business. Sofia-Belgrade on the A319 yesterday 115 passengers. Mesecni leasing kosta od 0,180-0,400 USD za A321. Bolje da su prvo uzeli A319 . Oni imaju CFMI CFM56-5B1 engines i poprilicno su stari i to nema veze. koja ti je ta cifra? Does anyone have any info on the 2 A330F flying to Zagreb tonight? Is this a regular line? Route looks to be Istanbul - Zagreb - Paris. Yes, it's operated by MNG Cargo, that's why the route originates in Istanbul. How Zagreb is gonna take those two birds at the same time? it's an A300F tonight, MNB 551. Approximately when can we expect news about new routes? Just approximately. I said an expansion to the network. This includes introducing dozens of new frequencies and it will be published in due course. As a note to others wondering what the above is about: This comment is in relation to an earlier one related to Air Serbia. The original comment has been deleted and its subsequent answers which included mine, since the original comment was false and the rest just spurred a discussion which was getting out of hand. Thanks. You would have to agree: that carrier as of today does not have any new routes listed here among 40+ new Ex Yu routes. It is a simple fact that needs no discussion. That is not disputed. The part of the comment referring to routes being axed is false. Similarly, a comment claiming that Flydubai is suspending flights to Zagreb a few days go was deleted. SO WHAT if there are no new JU routes listed among exYU? SO WHAT, you pathetic hater? SO WHAT if they cut a route or two? Is that something that much unimaginable in the airline business? Will you FREAKING EVER LEARN to enjoy the success of exYU airlines without turning it into defeat of those that you hate so badly? Лепо је у тој првој поруци писало да је резање линија могуће а не сигурно, такви трачеви су већ били овде. Лепо си учествовао у коментарима а онда те нешто притисло да све обришеш уместо само оне поруке које су засметале. Не дај се.
"" An analysis by some 100 experts, who determine which parts of the world are best to invest in, have pointed towards Bosnia and Herzegovina”, the airline says." Awe inspiring stupidity. If they truly attempt this, they deserve to get their cash incinerated. Beirut again late by at least an hour, oh God. Do the transit people arriving from Paris, continuing-on to Beirut with the same plane, have to leave the aircraft while on the ground in Belgrade? Yes, the passengers have to. This only goes to prove that the actual problem has not gone away but that it's only dormant as there are less passengers and traffic. I think you'll find the problem was with CDG ... slow turnaround of aircraft by CDG airport ... most USELESS airport in the world !!! !